Abstract: This year, Airwheel pushed out a range of new products to the customers all over the world. It unveiled these new arrivals in May 2017. Airwheel H3, R6, R8 and C8 were added to its big family. Their release caused a big sensation in the whole market. In the sector, it came as a milestone too. It is the new products that add vitality to Airwheel. 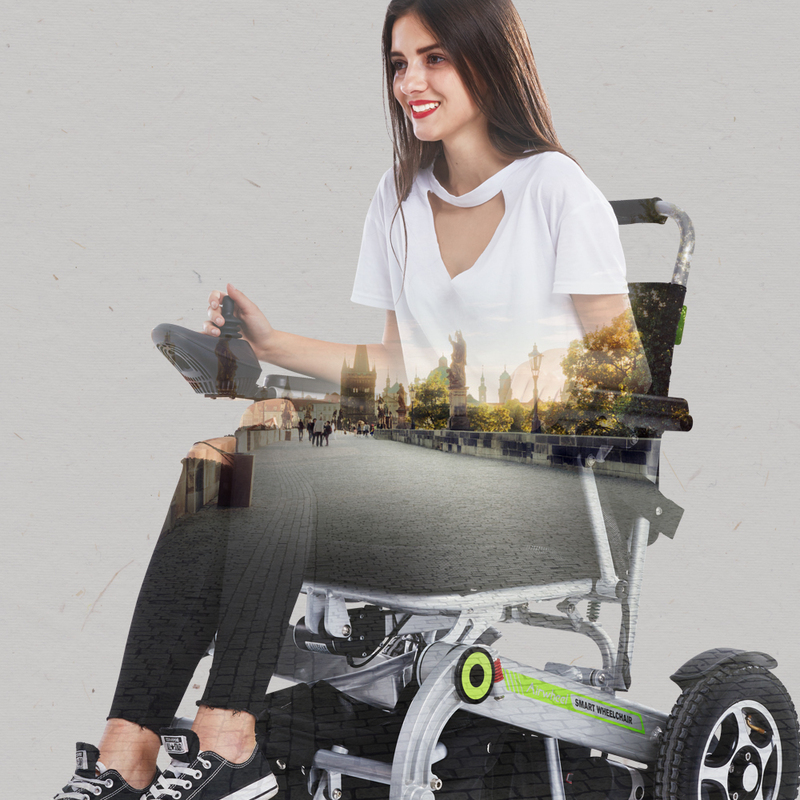 In May 2017, Airwheel rolled out brand new products again—H3 Electric Wheelchairs, R6, R8 and C8 and each of them has their own features. This time, Airwheel successfully developed a wearable equipment for racers— C8 full face helmet, which fulfils the recreational purpose as well the demand of safety protection. The built-in camera allows of the selfie during the ride. The Bluetooth enables the rider to answer a call without whipping out his mobile phone, which ensures a sae ride. Airwheel H3 folding electric wheelchair, equipped with a soft and wide saddle on it, pioneered the dual mode of ride—by man-larboard and by lithium battery. It is made of aluminium alloy material, with better load ability and durability. Riders can switch freely between the two modes. Pull the tie rod to the open position, then the brake will not work, the wheelchair can be pushed by people, when people pull the tie rod to the close position, and nobody can push it. Also, with the automatic folding system, H3 is easy to store. Airwheel R6 is touted as the most convenient transport for the young who have to commute between the residence and the workplace each day. The traffic jam is the biggest bugbear to them. A serious traffic congestion might cause them to be late for work. With Airwheel R6, they will not care about the traffic jam any more. What is more, riders can press one button to extend or contract R6 automatically; and its folding size is only 0.27m3 that can be stored into any corner of the house or car trunk. As for the Airwheel R8 lightweight trekking bike, it is famous for the excellent traffic ability, which is an ideal tool for riders to release pressure. The branded 26 inch wheels with special tread are nonslip and have excellent grip performance, allowing R8 to conquer various road conditions. Next：What Are The Target Groups Of Airwheel New Smart Products?